Pleached Quercus × hispanica 'Waasland' has dark green semi-evergreen leaves in an unusual slender, lobed shape. It displays attractive cork like bark, a feature it inherited from the Cork Oak. Being semi-evergreen, it keeps its leaves in mild winters and in this pleached form is ideal for year-round screening and creating privacy. Our pleached Quercus 'Waasland' trees have been carefully trained over a number of years by leading experts to create beautiful screening trees, sometimes known as hedging in the sky or stilt hedging. When planting pleached Quercus × hispanica 'Waasland' trees, prepare the planting area by removing all weeds and grass within a metre of your desired planting hole. Dig a square hole as deep as your root mass and approximately 2x as wide. To help the tree establish more effectively, sprinkle root grow in the hole. Formative pruning has already been carefully and expertly carried out on all our pleached trees. 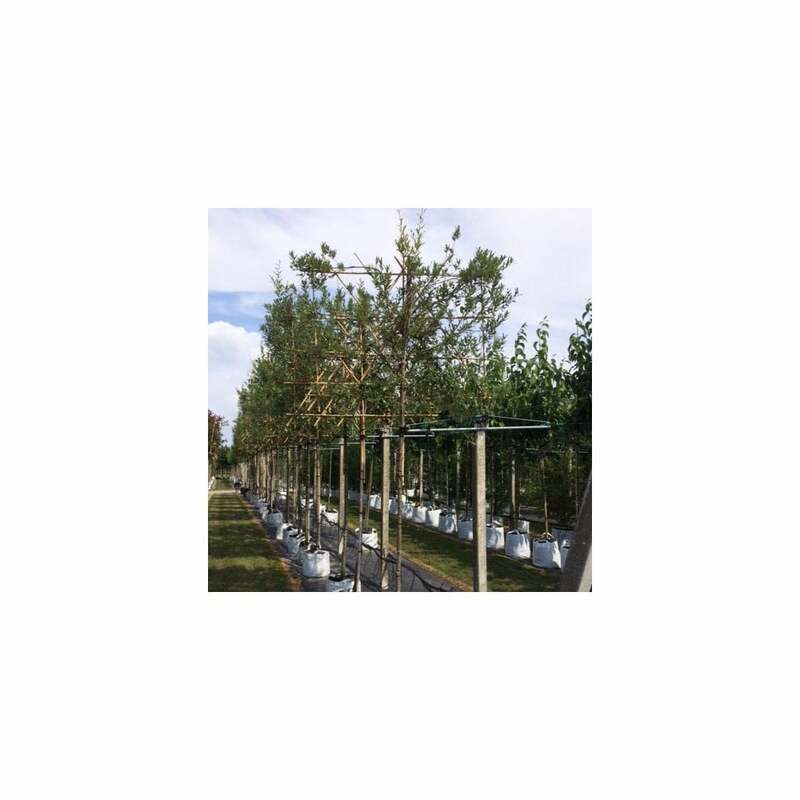 Quercus × hispanica 'Waasland' develop a well-balanced canopy with little help from us, so you will just need to carry out maintenance pruning going forwards. This involves pruning to maintain the shape of the tree and also removing any diseased or damaged branches.